Who doesn't enjoy eating a pancake occasionally or on a sunday? Well I do for sure. 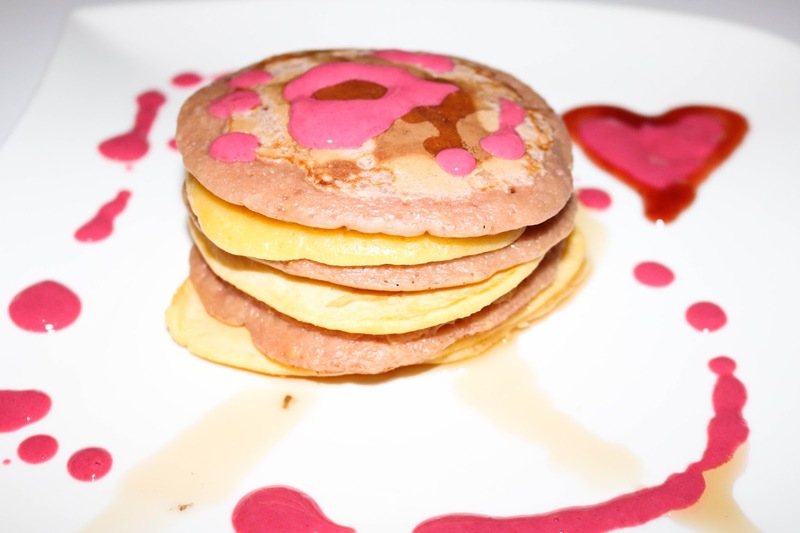 So I wanted to do pancakes for me and my boyfriend but I wanted to add a bit of a special something to it. And I freestyled and came up with this super delicious raspberry pancakes. Here we go with the recipe. Mix all together in a blender and voilà. Wer mag es schon nicht ab und an mal oder an einem Sonntag, Pancakes zu essen? Also ich liebe es auf jeden Fall. 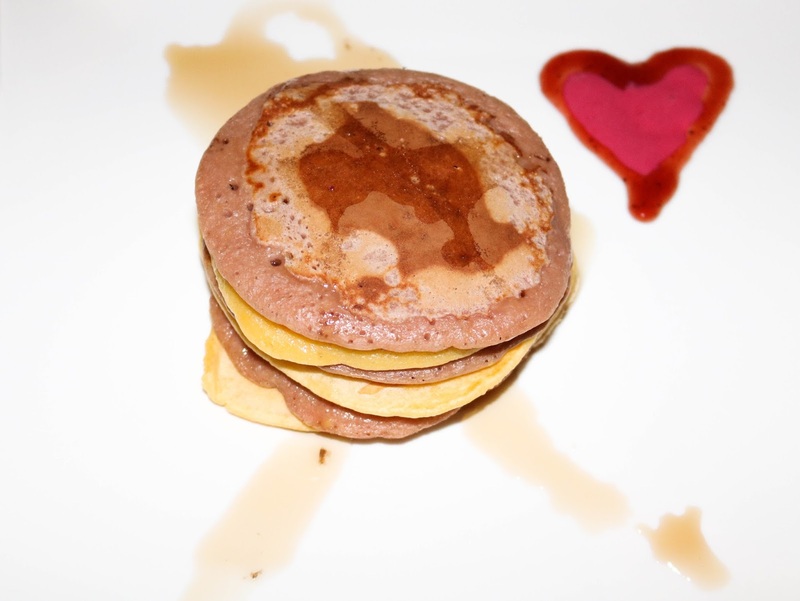 Vergangenen Sonntag wollte ich für meinen Freund und mich Pancakes machen, hatte aber lust auf etwas spezielles dazu. 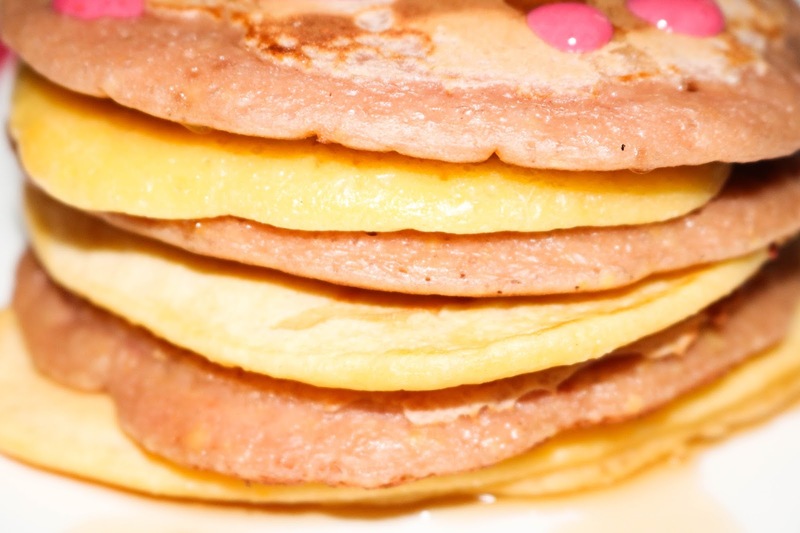 Da habe ich einfach mal angefangen auszuprobieren und dabei sind diese mega leckeren Himbeer-Pancakes entstanden. Ich würde mal sagen: legen wir direkt mit dem Rezept los. Mische nun alle Zutaten zusammen und voilà. First mix the dry ingredients together. Than add the eggs and last but not least milk. Now stir until it becomes to a dough. Add a couple of teaspoons of the raspberry "sauce" and mix it under the pastry. Now put some oil into the pan and hit it on middle degree. Cook until gold brown then flip it on the other side. Als erstes mischst du die trockenen Zutaten zusammen. Danach fügst du die Eier und die Milch dazu und rührst es gut, bis es zu einem Teig wird. Nun kannst du einige Teelöffel von der "Himbeersauce" dazu geben und mit dem Teig zusammen mischen. Jetzt geht es zum Herd. Lege die Pfanne auf mittlerer Hitze auf den Herd und füge noch ein wenig Öl in die Pfanne. 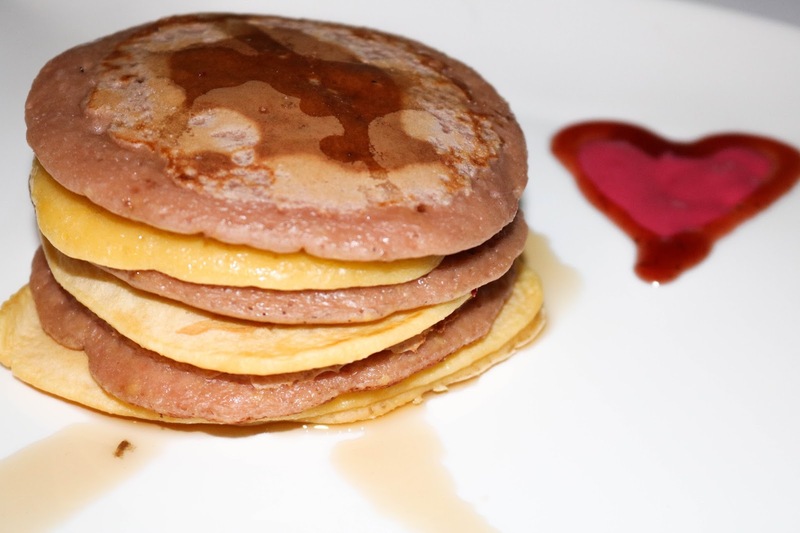 Koche die Pancakes bis sie gold braun sind, danach kannst du sie wenden. Have you ever tried some pancakes like those? Hast du bereits jemals solche Pancakes probiert? Mhh this looks soo good! Playing mobile games is the most enjoyble activity for kids and adults. The technological superiority battle between smartphones and tablets continues in the mobile gaming industry. It is unfair not to include friv games if the best games list is made regardless of which operating system friv is operating. Whether on a mobile phone or on a smart phone, play subway surfers adventures continue without interruption. In this game you are addicted when you play, your hero runs away from the station attendant every time. In order not to get caught, it is necessary to jump over the trains, run on the rails and pass under the other obstacles. Strategy games are attracting a lot of attention, especially on smartphone platforms. Here friv4school offers you the pleasure of playing games on your smartphones. The game madness that started in the PC world at the beginning of the 2000s; As smartphones like 2010 dominated the market, they lost their supremacy. That's why we make a list of the best strategy games for Android in particular. If you're talking about the best Android-compatible strategy games, you can browse these 5 games. We have compiled for you the strategy games that are indispensable for game lovers.Slither.io, friv dress up,Agar.io, Cut the Rope, New year pancakes, Splix.io, Zlap.io.